Many people ask the question whether 'What's Best for All' and 'Democracy' from the starting point of 'the majority rules' are not contradictory or incompatible. What is being looked at within such questions is a scenario where a majority wants to enforce a particular policy -- but this policy is not best for all – what then? Many democracies existent today are constitutional democracies. A constitution contains a set of fundamental principles and guidelines according to which the particular state will be governed. It is thus a 'framework' within which all decisions, policy and legislation are made. Whenever a new policy is being developed or when policies are reviewed -- it has to be checked whether it adheres to the base principles, as outlined within the Constitution. If they are not -- they are considered to be 'unconstitutional' and can hence be disregarded. This also implies, that even in democracies today -- one cannot vote on policies which are in essence unconstitutional, and there is thus a 'limit' on what is acceptable and allowed. 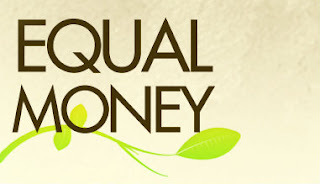 So, what we are introducing within and Equal Money System, where Equality and What is Best for All are the base principles of the Equal Money Constitution: is nothing New. Within this, it is thus implied that achieving and enforcing what is Best for All is not contradictory to democracy per se -- as the available options to be voted on, will always be within the framework of what is Best for All. As such -- voting will not exist from the perspective that one is presented with a policy and either 'likes' or 'dislikes' it based on an opinion one has and would vote accordingly. Instead, one will be presented with policies which have been designed by various agents from various backgrounds/expertise who have volunteered to contribute their time to design policies as frameworks and guidelines in terms of how particular points are to be managed -- and these are always designed within the starting point and context of Equality and what is Best for All. The end result coming from this process, will then be peer reviewed to cross-reference the proposal and make sure that all points are aligned within what is Best for All and that no points have been left unconsidered. All of these processes, will occur in a transparent, publicly available manner -- where at any moment, anyone can check the movement of information -- leaving no space for 'hidden agendas'. Upon completion of the peer review, the particular proposal or policy will be presented to the public for voting -- which is then in essence the final stage of review/cross-referencing. Within the voting process one is then in fact indicating that one agrees that what is proposed is indeed Best for All -- and if one disagrees, one would have to back up this disagreement with the necessary proof and evidence -- upon which the policy/proposal can be revised/re-evaluated (simply having an 'opinion', is thus not acceptable). Within this structure Education will play a major role, within ensuring effective education to all children in order to provide them with the necessary mathematical, scientific and common sense skills and insights, to be able to evaluate and participate within policy formulation or policy-review effectively. The focus is thus on the Participation of the Majority within directly taking part in the policy creation process. Within this, the approach of 'Prevention is the Best Cure' also plays a vital role -- where we want to ensure that all policies and decision-making are done in order to prevent consequences resulting from inequality. When consequences have already manifested, this would indicate a major problem in the effective application processes where a point within the foundation is unsound and 'cracked' so to speak, which results in having to 'go back' and fix things -- which is unnecessary and could have been prevented, and these points would as such require urgent attention. We thus want to ensure at all all points are taken into consideration at all times, so that a sound foundation can be in place which will prevent unnecessary harm and abuse from taking place. This is in contrast to our current system, which only acts after problems and consequences have already taken place and only then devise solutions -- which is in essence, doing everything 'backwards'. It might be helpful to provide specifics on how these committees of law-makers will be assembled. I'm assuming they will be payed beyond the basic income everyone is to recieve in an Equal Money System- so does that mean they recieve the same hourly wage as everyone else choosing to take part in work beyond the 4-year conscription period? How would new policy ideas be brought up? For example, if it came to be that the systems in place to provide for everyones' basic necessities became so efficient (many years down the road) that it was no longer necessary to have every human contribute 4 years to maintain it, how would it work to propose reducing the conscription period to, say 3 years and 3 months? Could individuals propose new policy changes or would they only be proposed by policy-makers as experts? Also, with regards to the diversity of living situations, if people chose to live in very small towns and basically create a self-sufficient town for the most part- obviously some policy changes wouldn't effect them if everything within a certain town was operating optimally already. It's like how now states within the US for example have their own individual constitutions (this preservation of states' rights within the overall constitution is called federalism) and then even counties and towns within each state have their own charter, and if I don't live in a particular county or town or state I wouldn't be involved in the vote taking place in that location because it effects local issues. What I'm getting at: how would it work for local issues like where should a new water pipe be constructed in a certain specific small area if that change doesn't drastically effect everything else in the overall system? You can see how there could be many small specifics which will need to be decided but which it might be impractical to have billins of people all over the world vote on. Would all people vote on every single change within the system? Also, would everyone be required to vote? Finally, there are currently many areas of the world with very, let's call it "tight-knit" communities where people are all of the same religion or background or maybe just a small, isolated community that has lived together for a long time and does things in a very specific way. For such communities, I forsee resistance to joining the larger Equal Money System. To what extent will these communities be accomodated? If they made it clear that they wanted no part in the overall system but wished to remain non-violently separate continuing on in their own way, how would that work? We live in such a large and complex world, I can understand how people would see the Equal Money System as this nice idea but when it comes down to the practical implications of implementing it- they're lost. Will those promoting an Equal Money System work on developing more details as time goes on? Thank you for your comment - we'll place a response to your questions within our next blog-post! cool - and thanx Anonymous for your questions - only with going into specifics will we be able to create a system that actually works best for all.